“Nyamavhuvhu” - the month of wind. That’s what the month of August – the windiest month before the first rains - has long been called in Shona, one of the local languages in Zimbabwe. “Mhepo iri kuvhuvhuta”! The wind is blowing! Yet this year, winds of more than 200 kilometres an hour swept down from the mountains on the night of 15 March, heralding after a long dry period the arrival of an immense cyclone, which dumped kilo-tonnes of water on Zimbabwe’s Manicaland province. Until that night, our project in Chipinge had slowly, slowly, “mbichana mbichana”, been developing a medical model for treating patients who arrived in clinics with multiple diseases, building bridges between infectious diseases like HIV and TB and non-communicable diseases like diabetes, hypertension, asthma and epilepsy. Our biggest headache was the economic strife in Zimbabwe and the related issue of unreliable supplies of unaffordable medications. We were progressing at a quiet pace, occasionally interrupted by an outbreak of malaria, or diarrheal disease. Then Idai arrived, knocking down trees and turning placid streams into wild torrents. Bridges and essential roads crumbled before it, as did houses and animal shelters. Landslides began raging down the mountains, lifting up rocks and rushing them downhill “like roaring trucks with no brakes”, in the words of one Chimanimani resident. Entire families and homes disappeared under the seething mud and rock, and when the earth stopped moving what was left was a mass grave. I attended an urgent meeting called by a civic body, at which a sense of desperation and helplessness grows as the extent of the damage became clear, along with the realization that the devastated areas are now cut off from the world. We know that we have to work in emergency mode now, and our leadership style goes from participative to direct instruction. We swap our casual football T-shirts for official MSF T-shirts, cut short the traditional flow of salutations and get straight to the point. 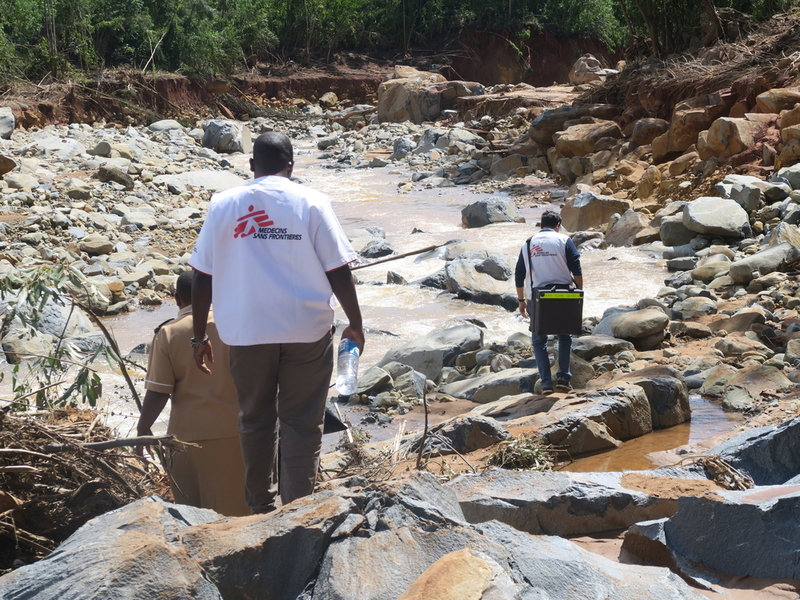 An MSF emergency team strategises on how to cross the river in order to reach Charleswood in Chimanimani eastern Zimbabwe to conduct a medical assessment of health needs of the population. The MSF team leaves Mutare with the aim of dropping off medical supplies at Mutambara hospital in Chimanimani District. After a day of muddling through a labyrinth of collapsed bridges and roads blocked by land and rockslides, we realize that neither the two roads nor the secondary dirt roads into the district are accessible. The district is completely cut off. So we start considering how to change our approach. Three tents were erected as part of a stabilisation centre for survivors at a strategic point overlooking the affected area in Chimanimani, now known as ‘Skyline’. A request is made to the army to help deliver much-needed supplies to cut-off hospitals. Members of the local community gather in groups to discuss strategies to save lives of friends and family members trapped in the Chimanimani valley. They express frustration at the pace of relief efforts. Meanwhile, the rains continue to pour down and mist turns into fog, keeping the helicopters grounded. Dozens of deaths have already been reported, and missing persons reports are flooding in. The clock is ticking. 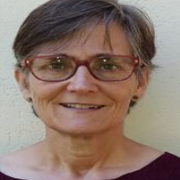 The MSF emergency coordinator arrives from Harare, and meets us at ‘Skyline’. A team of young, highly specialised Zimbabwean volunteer doctors have seemingly popped out of nowhere and taken possession of our tents. They are from an energetic network of churches, hospitals and the University of Zimbabwe. Some have already been flown into the disaster zone by helicopter. “Tinokugamuchirai mose”, we cry - “We welcome you!” As an increasing number of emergency aid organisations arrive, collaboration happens in ad hoc but synergistic ways. A coordination mechanism is set up with the health ministry and other actors on the scene, with much of the communication happening in WhatsApp groups like the “Cyclone Idai medical group” I am a part of. The first patients arrive before any beds can be organised. Some have infected wounds but there is no water for handwashing yet. Lying on plastic sheeting on the floor, patients are examined and stabilised by doctors and nurses. As the sky clears up, more and more patients with broken bones or deep lacerations are evacuated by helicopter to Skyline. Private ambulances take patients to hospital, while MSF transports people with less severe injuries to Chipinge district hospital approximately 50 kilometres away. Process and paperwork is bypassed when circumstances require speedy coordination between helicopter pilots and doctors departing for health facilities that are not accessible by road. Accountability becomes a question of conscience. Rapid assessments of risk versus benefit must constantly be made. While the first humanitarian donations are distributed, we meet a crowd of people marching uphill to salute the Zimbabwean president, who is expected to arrive this day. A well-known soft drinks company gains my respect by dragging hundreds of bottles of drinking water to where clean water is so desperately needed. A fuel company comes in with heavy equipment to reopen roads, while mobile toilets are starting to appear and a national life insurance company has provided many beds. We are setting up a pharmacy store when the tents are ripped from the ground by a whirlwind caused by a helicopter flying dangerously close. What a blunder! Nevertheless, the process of rescuing the injured, stabilising them and transferring them to hospital continues, amidst deep concern for those who are not being reached. Walking into the valley isn’t an option. The army and private companies on site are trying to open a direct road. Can our team get into the district tomorrow? Finally, a water tank arrives at Skyline. The number of patients arriving with trauma injuries decreases rapidly. Residents from the mountainous area surrounding ‘Skyline’ turn up on foot in search of medication for HIV, diabetes, hypertension and asthma. Some have lost their medication to the floods, and many can no longer access their health facilities. We have to bridge the gap, and so the stabilisation centre becomes a primary healthcare unit. A road is opened up, and our mobile teams are now able to access the affected areas by vehicle, but only if the rain stops. With the emergency response ongoing, the dead being buried, the survivors being supported to rebuild their lives and infrastructure being reconstructed, it becomes clear to me that a bridge must be built between the emergency response and chronic care. Trauma victims with fractures or those who have sustained severe injuries will need follow-up care in the medium or long term, especially those with spinal injuries. Survivors with post-traumatic stress disorder risk joining those whose mental health problems go untreated, as for many, mental health services and drugs are not readily available in Zimbabwe. The cyclone has intensified an existing socio-economic crisis in the region, and in the aftermath we are witnessing a multi-layered calamity: A drought, a crippling economic crisis, an underlying HIV epidemic, growing rates of diabetes, hypertension and other non-communicable diseases, and now the devastation caused by arguably the worst cyclone to hit the region in recorded history. If progress is to be made in the medium and long-term, multi-faceted support is needed. 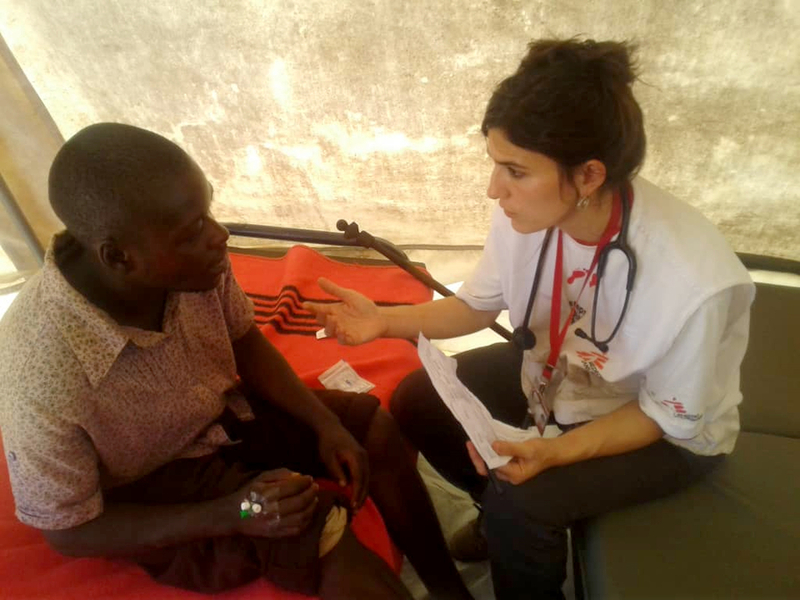 In the short term our MSF teams will remain alongside the health ministry and other actors, building bridges where we can. 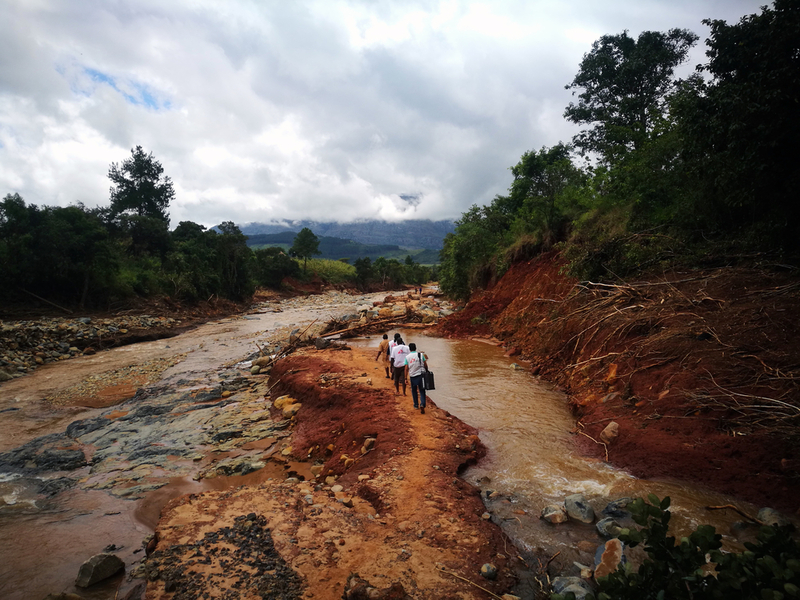 The impact of tropical Cyclone Idai in Zimbabwe’s eastern highlands has been massive: 181 lives have been lost, 330 people are missing and nearly 22,000 have been displaced. Several bridges and whole roads have been washed away, or remain blocked by rock falls, leaving some communities reachable by foot only. Many have been left without homes or livelihoods and access to safe drinking water is a major issue. The Skyline stabilization centre has fulfilled its role and is now being closed. 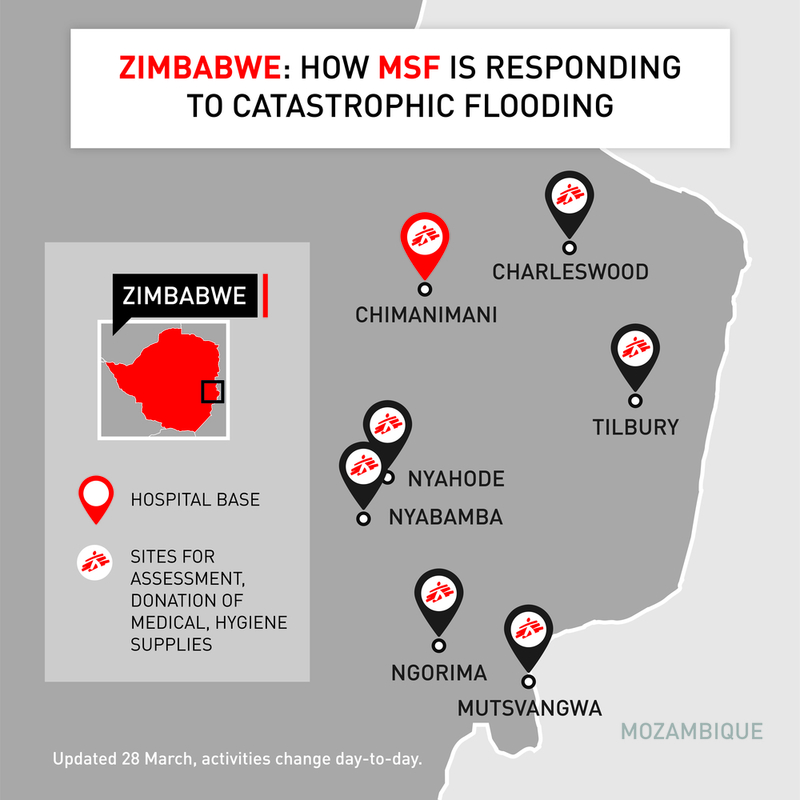 An MSF team is supporting ministry of health staff in Chimanimani with patient management, and helping to maintain supplies of essential medications. Water treatment and prevention of diarrheal diseases is an essential component of MSF’s response, and two MSF mobile teams are currently moving around the district on foot, trying to reach 15 of the most affected health centres and surrounding settlements in Chimanimani in order to assess health needs and distribute medicines to clinics and village health workers. Our teams are also distributing basic supplies, and aqua tablets to purify water for drinking. The main health needs in Chimanimani district currently include trauma injuries, antiretroviral treatment refills for HIV patients and chronic disease medications.